Get on Board…Ride the Wave! Need a route for a specific bus? Trying to plan your journey? Get all the information you need for our buses and shuttles right here. Call, email, send a letter, message us via Facebook or Twitter, or stop by Forden Station. Customer Service representatives are available 7 days a week. Give us a call! Never miss your bus again thanks to real time tracking. Updated automatically every 10 seconds, you can easily see where your bus is and when it will arrive. We provide a variety of services including Accessible Van Service (DART) , Travel Training, and Community Outreach to help everyone Connect to public transportation. This important foundation provides help to those who wouldn’t otherwise have access to transportation. You can change someone’s life with a tax deductible donation. Effective, Wednesday April 24, 2019, service to the following bus stop locations on Market St. impacted by the Kerr Ave. widening project will resume as scheduled: Bus stop signage will be installed at the bus stop locations when service resumes. Wave Transit is committed to helping residents and visitors explore our beautiful area in safety and comfort. Ride the Wave to the Earth Day Festival! We’re proud to provide transportation for the Earth Day Festival on Saturday, April 27! Park and ride from 230 Government Center Drive, or hop on an hourly shuttle from DREAMS of Wilmington (901 Fanning St.) to the park. Both shuttles are FREE!! Click here or on the image below for the details. The community naming contest for the Downtown Trolley is currently closed. Submittals were accepted March 1-31, 2019. Finalists will be announced in May 2019. Prizes will be awarded to finalists and a grand prize will be awarded to the winner of the naming contest. The winner will be selected by a community vote. A finalized brand will be developed around the name selected by the community. The revised brand will be unveiled with the arrival of the new trolley vehicles in Spring 2019. Check back in May, 2019 for the announcement of the finalists and to vote for your favorite! 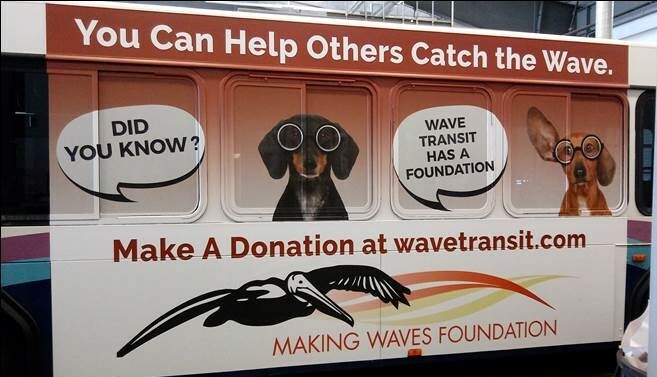 Did You Know…Wave Transit has a Foundation! The Making Waves Foundation, established in 2011, is an independent, 501(c)3 non-profit organization that provides free or heavily subsidized bus passes to local organizations that provide assistance to individuals who do not have access to affordable transportation. 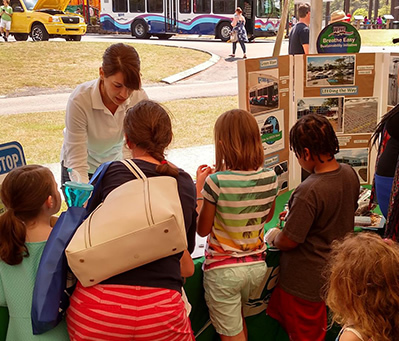 The Foundation also aids Wave Transit in raising funds to promote and improve public transportation in Southeastern North Carolina. To date, the Making Waves Foundation has provided transportation assistance to over 23,000 of our neighbors in Southeastern North Carolina through grant awards to over 85 community organizations! Watch the video below to learn more about the Foundation’s impact within our community! *Please note that Ms. Matheny serves as Wave Transit’s Deputy Director instead of Mobility Manager. You can help others catch the Wave by making a donation today! Click on the image below to help others catch the Wave! Effective Monday, October 15th, the Downtown Trolley will have a new permanent route. Thank you to all those who gave input and helped to improve this service! Click HERE or on the image below to view a schedule of the new route. Click on the image below to watch the video now! We’re out in the community keeping you informed of available transportation, and getting your input to make sure our services reflect your needs. Click the icon below to see our outreach calendar! 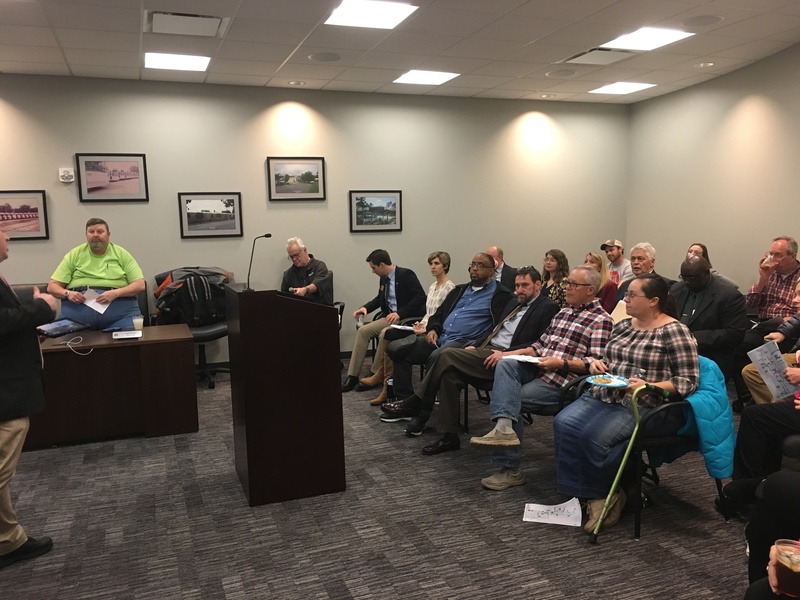 A meeting of the Cape Fear Public Transportation Authority will be held on Thursday, April 25, 2019 at 12:00 pm in the Board Room at Forden Station, 505 Cando Street, Wilmington, NC 28405. Click here for a copy of the meeting agenda. If no requests are received within fifteen (15) days from the publication of this notice, the public hearing process will be considered complete, no public hearing will be deemed necessary, and the Proposed Program of Projects will become the Final Program of Projects. Click here for a copy of the proposed program of projects. Website content and other resource material is available in alternate formats and will be provided upon request. Click the icon below to request information in an alternate format.